As a celebration and continuation of living the question: What does the Lord require? 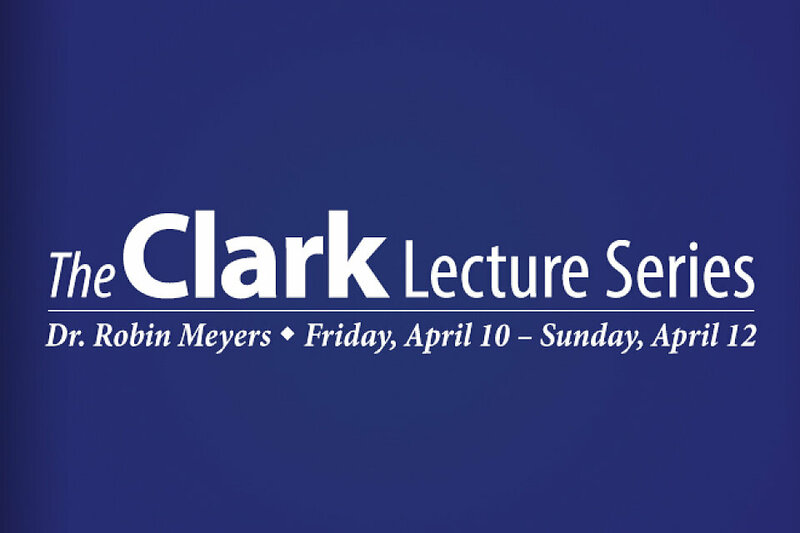 We enter the Easter season with The Clark Lecture given by Dr. Robin Myers on Friday, April 10th – Sunday, April 12th. Robin Myers is Senior Minister at Mayflower Church Congregational UCC Church in Oklahoma City, the Distinguished Professor of Social Justice in the Philosophy Department at Oklahoma City, and a fellow of the Jesus Seminar. His most recent publications are Saving Jesus from the Church: How to Stop Worshiping Christ and Start Following Jesus (Harper One, 2010), and The Underground Church: Reclaiming the Subversive Way of Jesus (Jossey Bass, 2012). His newest book Spiritual Defiance: Building a Beloved Community of Resistance (Yale University Press, 2015) will be available for West End members at the Clark Lecture prior to official release. Friday, April 10 at 7 p.m. – Opening Lecture – Thinking Religiously with Head and Heart. More about the Saturday’s Workshop: Saturday’s lecture and workshop is designed to remind congregations that the gospel compels us to look at the world differently, and to be in the world differently from the dominant culture. It is a new take on how missions can be initiated and funded, and it involves a brainstorming component that is interactive. The idea is to help laypeople generate ideas for being the Beloved Community in one's particular setting, and to provide ideas that might work to make the church a more effective, and peculiar force for peace and justice. This form is no longer available. It was closed for further submissions on 04/10/2015.